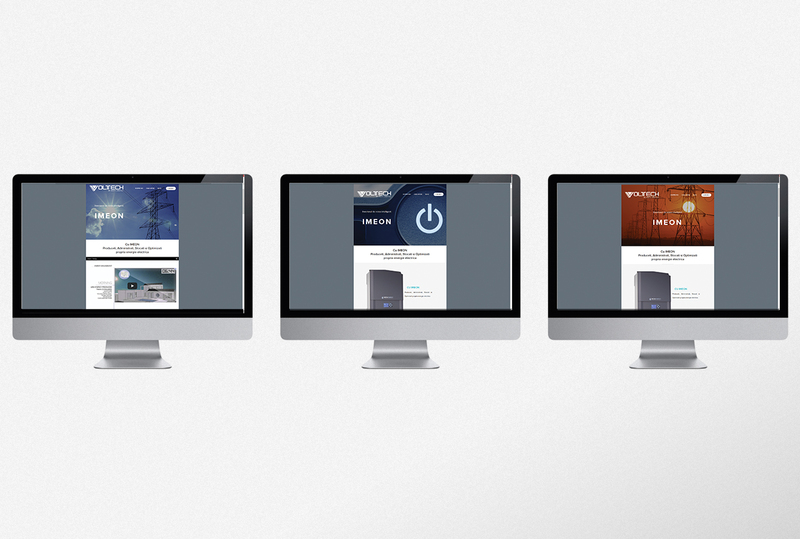 Creating the visual identity for a national supplier of green energy solutions. 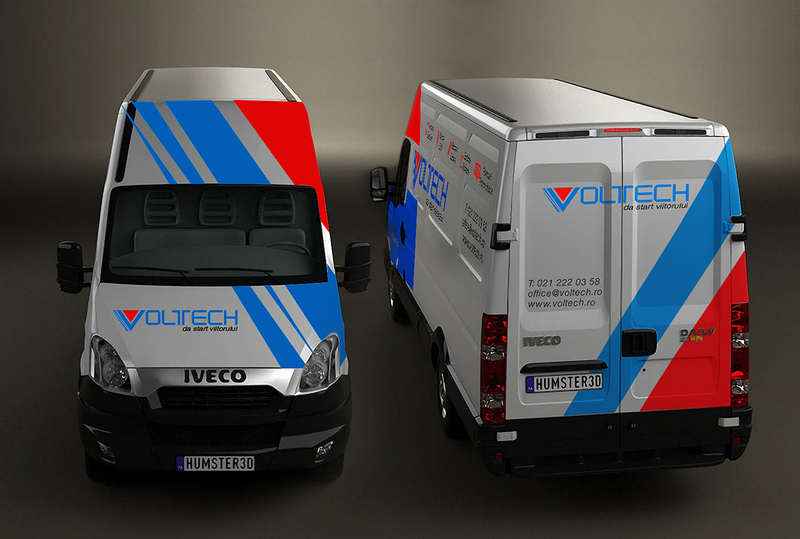 Voltech vinyl vehicle wrapping. In order to raise awareness in traffic about the company, it’s products and services, we created a mock-up for the delivery vans. 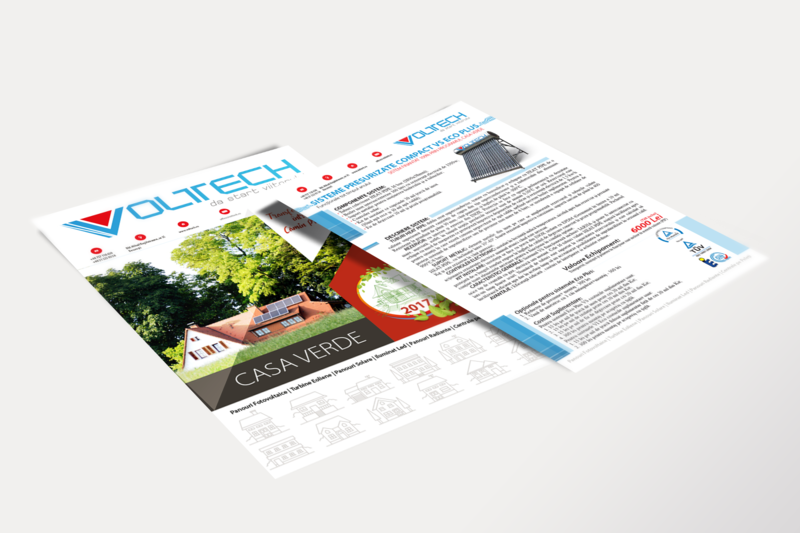 Voltech wanted to promote a new product on the market, and one of the communication channel was direct mail, for which we created a newsletter campaign formed of 5 HTML e-mails sent at regular intervals of time. 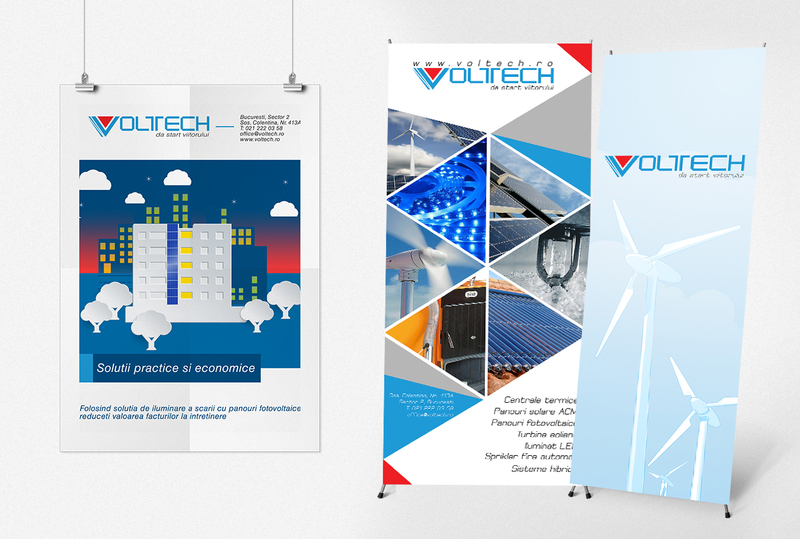 Posters and roll-ups to promote Voltech’s products and services at trade fairs. 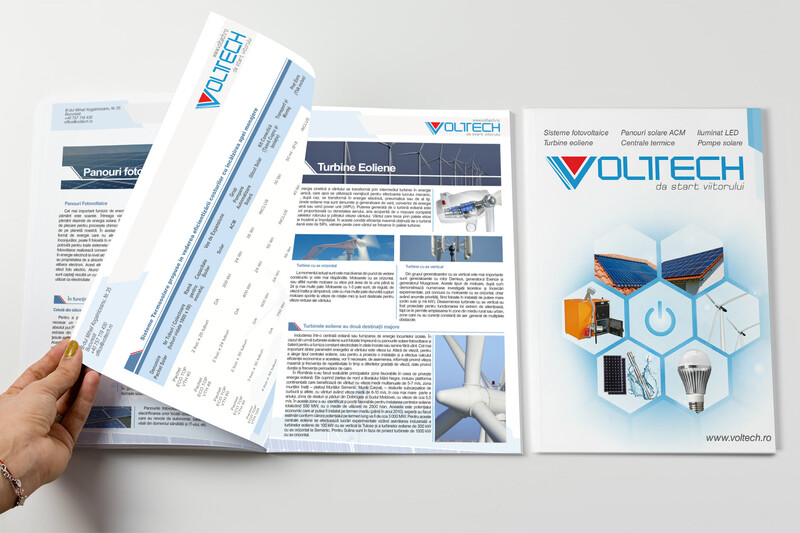 Voltech stationary. 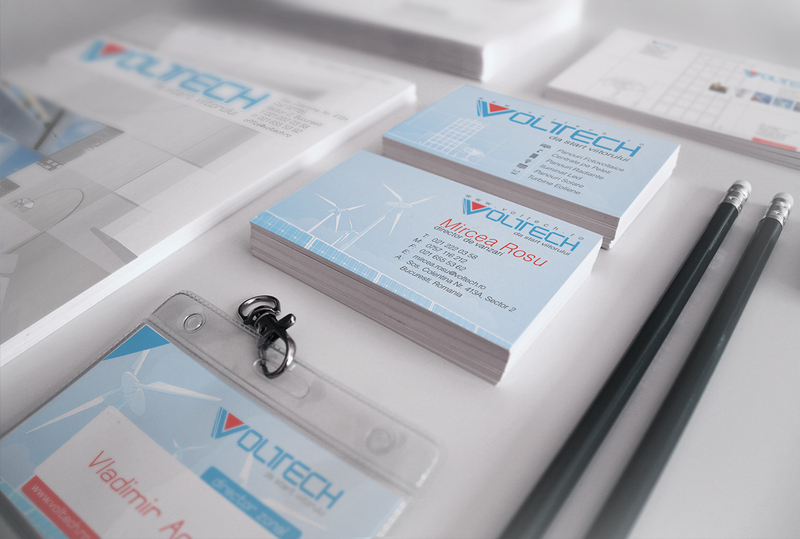 In order to integrate the new logo in the holistic branding process, we created business cards, presentation folders, letterheads, invoices, badges, envelops.